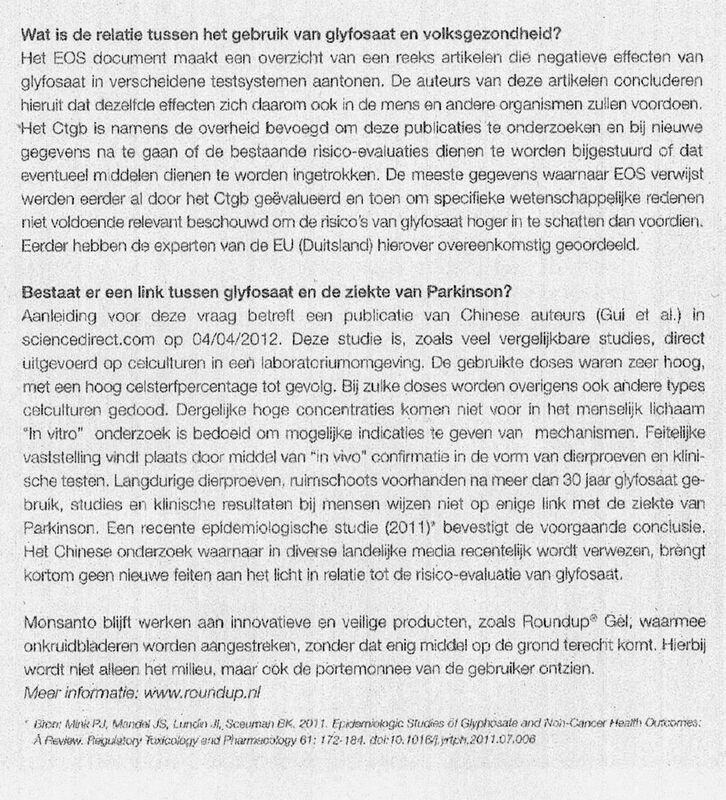 Dutch Avertising Commission Ruled that Monsanto’s Roundup Ad is misleading. On the 11th of December 2012, the Dutch Advertising Commission released its report which can be accessed here. The Commission sharply criticized Monsanto’s misleading advertising and its claims that Roundup has no effect on soil, does not remain in the soil, and does not reach groundwater. 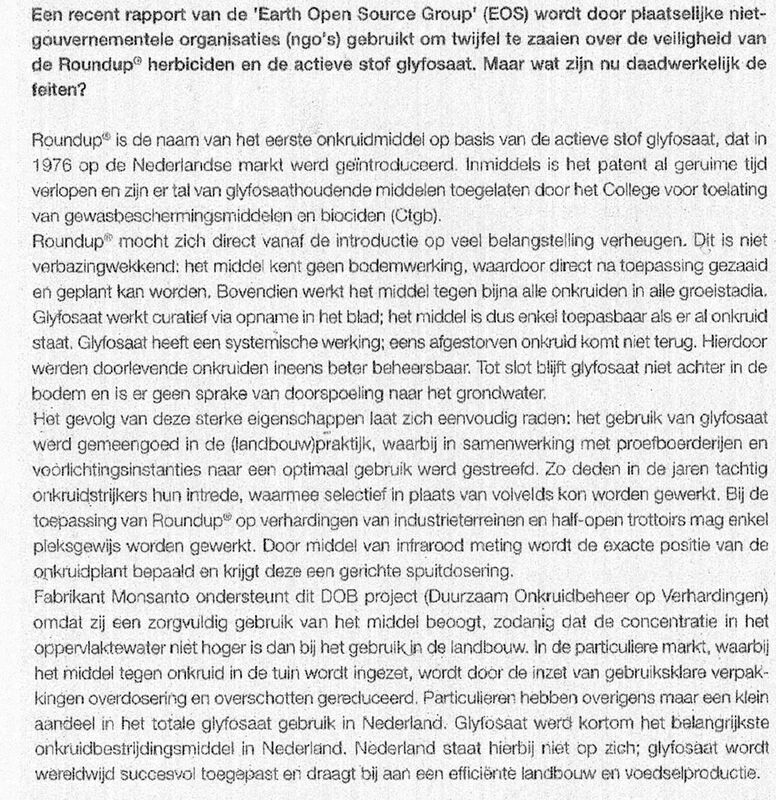 It further commented that Monsanto is still trying to keep up appearances that Roundup is a harmless substance, while worldwide evidence is accumulating that the formulation, the active ingredient glyphosate and the breakdown product AMPA are actually very harmful to humans, animals and the environment.